When Loopt launched in 2006 it was ahead of a curve that is just starting to be recognized: Location. Now, with services like Foursquare, Gowalla, Brightkite, and even Twitter fueling the location-based services frenzy, Loopt realized that it needed to shift its strategy a bit. Enter Pulse, a new feature launching today. Previously, Loopt was more of a passive service — you started it up on some device and it kept track of where you were. Other users could see where you were if they opened the app too, but generally it wasn’t about pinging your friends to let them know where you are and what you were doing. But Pulse makes Loopt much more of an active service. 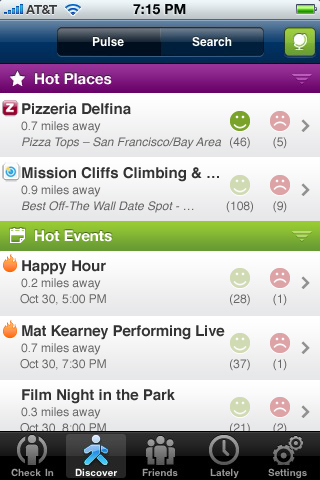 It recommends hot places, hot events, and lets you know what your friends are up to. This new feature is already live on Loopt’s website, but as we alluded to back in May, this will also be a part of the Loopt 2.0 iPhone app, which should be released shortly. But things have even changed since then. 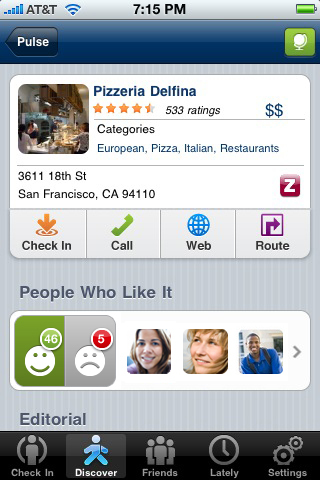 As you can see in the screenshots, a key feature of this new Loopt is the idea of the “Check In.” Obviously, this is a direct reaction to competitors like Foursquare and Gowalla which are built around that very idea. This is a key part of the new Loopt as checking in helps it recommend things for your friends to do. And this is altering Loopt’s business as well. 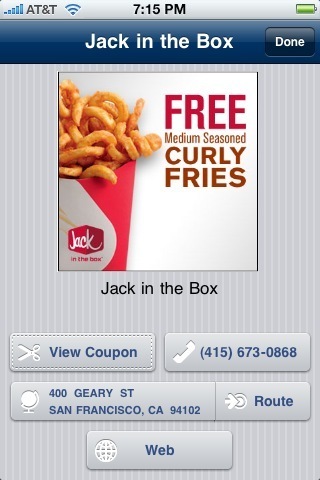 As we’ve previously covered, location is a potentially powerful tool for business models involving things like coupons. 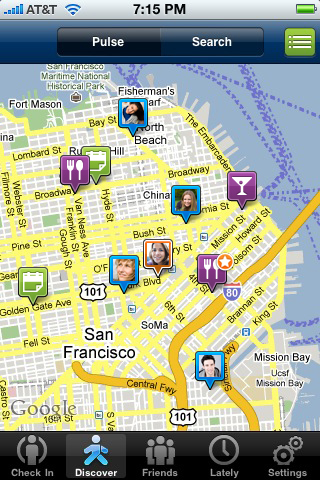 Foursquare is starting to delve into this, but it isn’t yet making money from it. This new version of Loopt is taking full advantage of this. The company has already struck deals with partners such as Jack In The Box to serve up virtual coupons when users of Loopt are nearby a restaurant. Fans of Loopt will still recognize many of the features of the service, but everything has been improved, Altman says. One thing not included however is Mix, Loopt’s service that helped users potentially find dates. That was spun off into its own app last month. Loopt also offers some things that Foursquare doesn’t such as the ability to see where all your friends are checked in on an actual map (rather than just a list of where they are). And you can also see not only that friends are at a particular place, but how others have rated it (with a smiley face or a frowning face). This allows you to see if a restaurant is not good, for example. The iPhone is proving to be a boon for location-based services, but it also has a very big weakness: Third-party apps cannot run in the background. This is one reason why the previous version of Loopt didn’t work well on the device; it kept track of your location, but only when you had it open. Loopt recently launched a new feature that allows you to get around this by pinging your phone to get your location with the help of the carrier. But that service costs extra money, a huge barrier. Moving to the concept of check-ins seems like a better way to keep people using your application. So can Loopt take on the younger location-based upstarts with its new features? We’ll see, but Loopt has a couple of big advantages: 1) It works on over 100 mobile devices (Foursquare, for example, works on only a few right now — but any phone can access its mobile website). 2) Apple seems to love Loopt. They’ve included it in commercials, and routinely feature it in the App Store. Disclosure: Loopt offers a TechCrunch branded version of the service here.